FAQ - What If I Don't Have Health Insurance By March 31? The deadline to sign up for individual health insurance is March 31 - less than a week away. This article answers frequently asked questions about what happens if you don't have health insurance by March 31. What if I Don't Have Health Insurance by March 31? If you have not enrolled in health insurance by March 31, you will likely pay a penalty at tax time. You have until March 31, 2014 to enroll in health insurance before you are subject to health reform law’s tax penalty for not having coverage. For individuals, the penalty this year is $95 or up to 1% of income, whichever is greater. The penalty increases to $695, or 2.5% of income by 2016. For families this year the penalty is the greater of $285 or 1% of income. The family penalty will increase to the greater of $2,085 or 2.5% income in 2016. After March 31, can I buy a health plan or switch health plans at any time? No. There are certain deadlines, also called open enrollment periods. You will not be able to purchase an individual health plan (on or off the exchange) - unless you have a qualifying event such as marriage, birth of a child, loss of essential health coverage, move out of state, have a significant income change, etc. If you do, then you can enroll during a special enrollment period. Read more about the qualifying events and special enrollment period here. Who doesn't have to pay to the penalty? The requirement to have coverage can be waived for several reasons, including financial hardship or religious beliefs. The administration has also waived the penalty for those whose individual insurance plan was canceled. Under the law’s "hardship exemption," these consumers are also eligible to buy "catastrophic" coverage policies, which have lower premiums and higher deductibles than other plans that comply with the law. People with plans in the individual market that did not yet meet health law requirements could keep those policies for another two years if their states allow it and insurers continue to offer the plans. I had trouble enrolling because of technical glitches. Do I still have to have coverage by March 31? If you started to apply for coverage through the HealthCare.gov website but could not finish by March 31, you will have until about the middle of April to seek an extension. You can qualify for an extension by checking a blue box on HealthCare.gov to indicate you've tried to enroll before the deadline (source). If technical or website glitches prevented you from enrolling, you can receive retroactive coverage to January 1 or the date in 2014 when you originally applied, as well as retroactive premium tax credits and cost-sharing subsidies. Also, if you gave up trying to buy a plan because of technical issues, and instead you bought one outside the exchange, you may be able to switch to a marketplace plan and qualify for retroactive subsidies. Depending on your income, you might be eligible for Medicaid or a health insurance tax credit. Before the health law, in most states nonelderly adults without minor children didn’t qualify for Medicaid. But now, Medicaid has been extended to anyone with an income at or lower than 138 percent of the federal poverty level (about $16,105 for an individual or $32,913 for a family of four based on current guidelines). If you make too much for Medicaid, you might be eligible for federal health insurance tax credits or subsidies to help you pay for an individual or family health plan sold in the state-based insurance marketplaces. These premium tax credits are available for individuals and families with incomes between 100 percent and 400 percent of the poverty level or about $11,490 to $45,960 for individuals and $23,550 to $94,200 for a family of four (based on current guidelines). The premium tax credits are based on a sliding scale and cap the amount you'll pay for health insurance from between 2-9.5% of household income. See these Health Insurance Tax Subsidy Charts. My employer is small and doesn't offer health insurance. Can they help with our individual health insurance? Yes. Employers can set up a reimbursement plan, sometimes called a Defined Contribution Plan or Healthcare Reimbursement Plan. With this type of reimbursement plan, your employer would offer employees a set monthly amount to use on health insurance premiums. 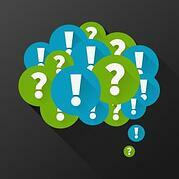 What other questions do you or employees have about the March 31 deadline to buy individual health plans? Leave a comment and we'll help answer it.